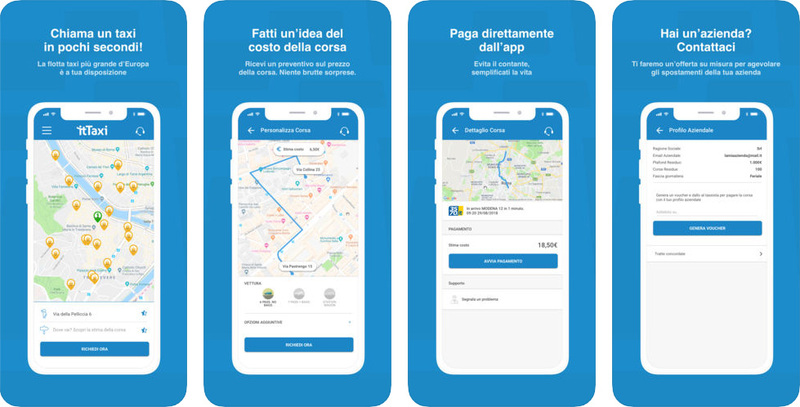 Home / itTaxi: free app to book Taxi throughout Italy! to request a taxi all over Italy in a simple and fast way! itTaxi is the leading application in the sector in Italy that allows you to book a taxi in the major Italian cities. Individuals and companies can finally interface with a single point of reference, with the guarantee of a precise and reliable service, with very fast response times.